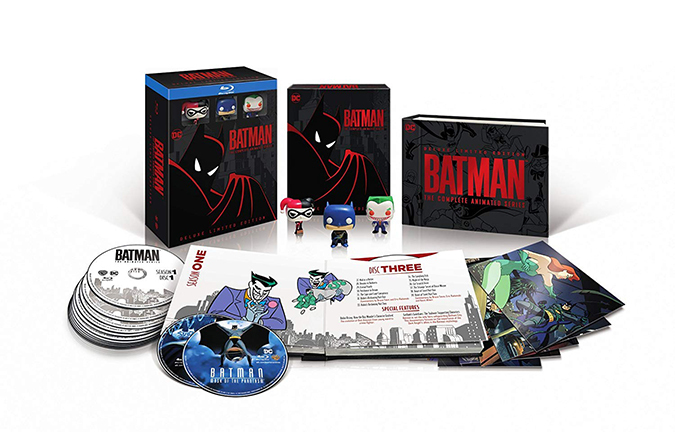 The impressive Batman: The Complete Animated Series Deluxe Limited Edition package features approximately 2,700 minutes of entertainment spread over 10 Blu-ray discs, plus the two bonus discs – not counting 11 specially-selected episodes with audio commentaries by cast and crew. 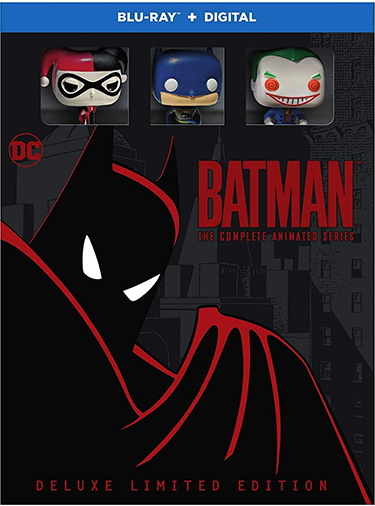 In addition,Batman: The Complete Animated Series Deluxe Limited Edition includes an exclusive ensemble of collectibles highlighted by three Funko mini-figurines (Batman, Joker, Harley Quinn) and seven beautifully-designed lenticular art cards. The entire box set is housed in a stunning layflat-book with a dazzling slipcase. 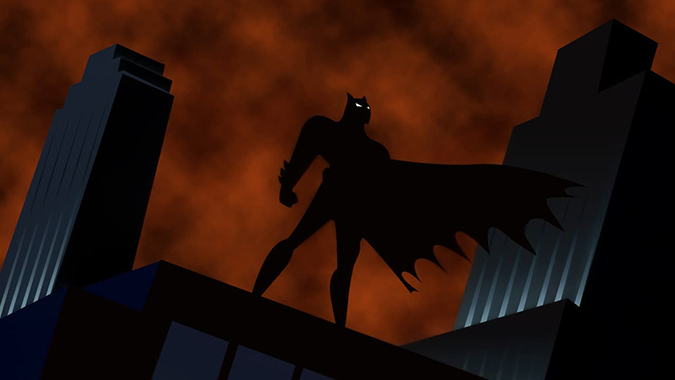 Batman: The Complete Animated Series Deluxe Limited Edition Enhanced Content includes 25 featurettes – led by an all-new, 60+ minute definitive Batman: The Animated Series making-ofdocumentary, “The Heart of Batman” – as well as introductions to five episodes by producer Bruce Timm, and commentary on 12 episodes by various combinations of the production team: Bruce Timm, Eric Radomski, Paul Dini, Kevin Altieri, Michael Reaves, Boyd Kirkland, Shirley Walker, Glen Murakami, Dan Riba, and James Tucker. Arkham Asylum: Examine the Top-Secret Case Files of the Dark Knight’s Many Foes: The Joker (Featurette)– Alan Burnett, Bruce Timm, Eric Radomski, Paul Dini, Andrea Romano and Dan Riba discuss Mark Hamill’s inimitable Joker. Arkham Asylum: Examine the Top-Secret Case Files of the Dark Knight’s Many Foes: Mr. Freeze (Featurette)– Bruce Timm, Paul Dini, Andrea Romano and Dan Riba discuss MR. Freeze and the Heart and Ice Origin story. Arkham Asylum: Examine the Top-Secret Case Files of the Dark Knight’s Many Foes: Poison Ivy (Featurette)– Paul Dini, Bruce Timm, Andrea Romano, Alan Burnett, Dan Riba and Eric Radomski discuss designing Poison Ivy. Arkham Asylum: Examine the Top-Secret Case Files of the Dark Knight’s Many Foes: Scarecrow (Featurette)– Paul Dini, Bruce Timm, Alan Burnett, Andrea Romano and Dan Riba discuss the various iterations of the Scarecrow. Arkham Asylum: Examine the Top-Secret Case Files of the Dark Knight’s Many Foes: Two Face (Featurette)– Discussing Batman’s key nemesis are Paul Dini, Bruce Timm, Alan Burnett, James Tucker, and Dan Riba.